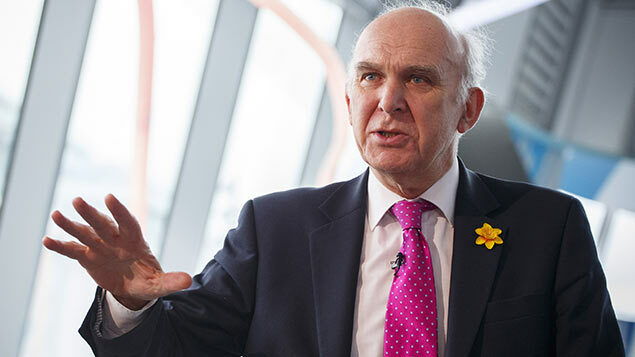 Business secretary Vince Cable’s plan to close a loophole in the way some employers use zero hours contracts has moved a step closer with the publication of draft legislation banning exclusivity clauses. In its public consultation on zero hours contracts, the Government identified as a particular problem the use of “exclusivity clauses”. These allow employers to prevent casual staff working for another employer, even though they are not guaranteed any work. The Government has now confirmed that it will legislate to make exclusivity clauses unenforceable among low paid staff whose guaranteed hours of work per week are also low. The ban is included in the Small Business, Enterprise and Employment Bill, which is currently before Parliament. Stephen Simpson, XpertHR principal employment law editor, commented: “The Government is clearly concerned about unintended consequences. So it’s decided against simply setting a minimum number of hours that employers must offer under a zero hours contract before demanding exclusivity. The consensus among respondents to the consultation was that, even if a ban on exclusivity clauses is introduced, unscrupulous employers would come up with effective avoidance methods. Responses suggested that employers’ most common avoidance tactic would be to offer workers a token minimum number of guaranteed hours, possibly as low as one hour per week. The Government has decided against an hours threshold and will introduce a threshold taking into accounts both hours and income. This level of weekly income, below which an employer could not require an employee to sign an exclusivity contract, would be set by multiplying the agreed number of hours by the adult national minimum wage rate (£6.50 from 1 October 2014). The hours and income threshold would not apply if the hourly rate of pay is at least £20. The hours and income based thresholds are included in the draft Zero Hours Workers (Exclusivity Terms) Regulations 2015. Workers on zero hours contracts would be able to make a complaint to an employment tribunal if they consider that they have suffered a detriment for choosing to work for another employer. No date has been set for the introduction of the legislation.